Create a completely customized setup in minutes, and transmit your favorite movies, sports, and videos within your home. 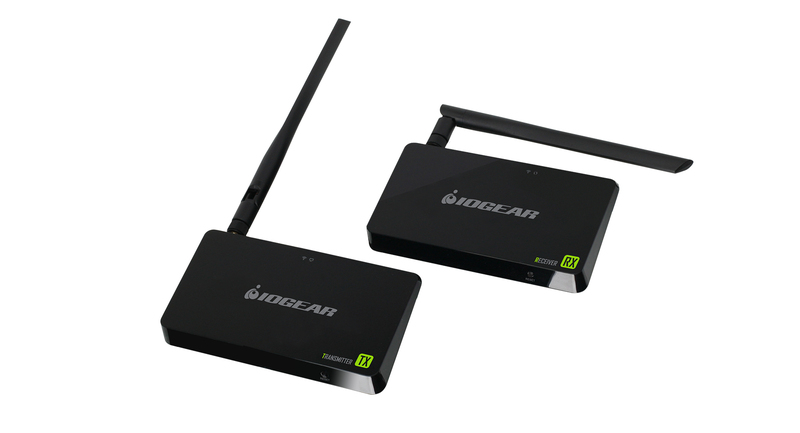 IOGEAR's Wireless 4K Video Extender takes wireless home entertainment set-ups to the next level of connectivity with flexibility and convenience. 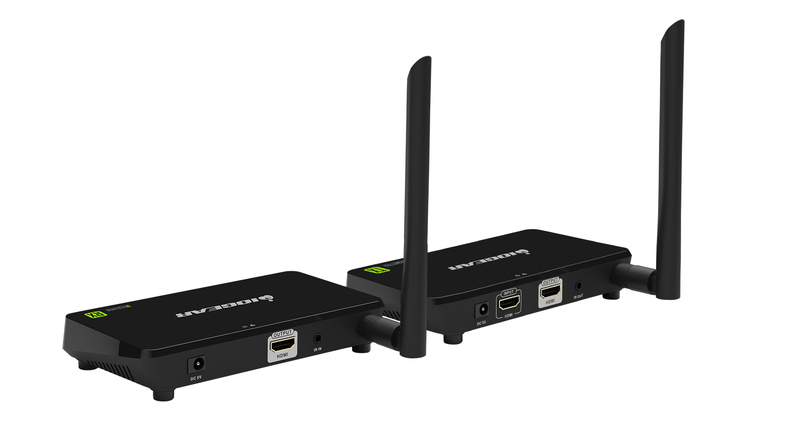 Capable of streaming 4K content along with stereo audio up to 150 feet* away with less than 200 Milliseconds of latency. 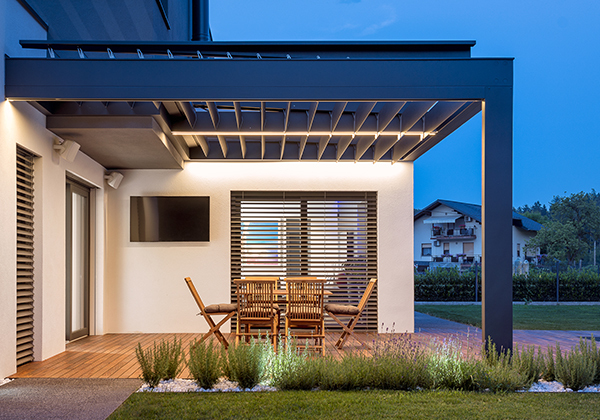 Have you ever wanted to hang your TV on your patio, or the living room wall, but dreaded the idea of exposed wires or added construction? The Wireless 4K Video Extender is the ideal solution, as it allows you to "cut the cord" and keep your sources out of sight. The configuration possibilities and uses for this solution are endless. 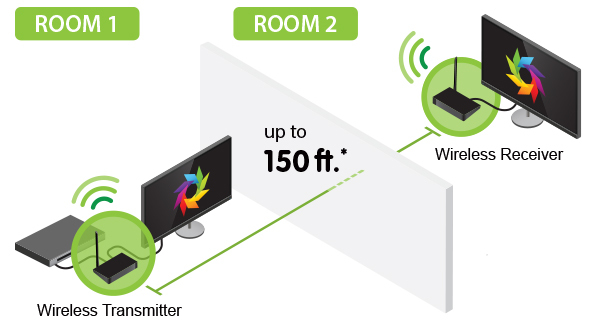 Setup your A/V equipment in a media closet and transmit wirelessly to your TVs in the living room, patio, garage or just about anywhere in your home. 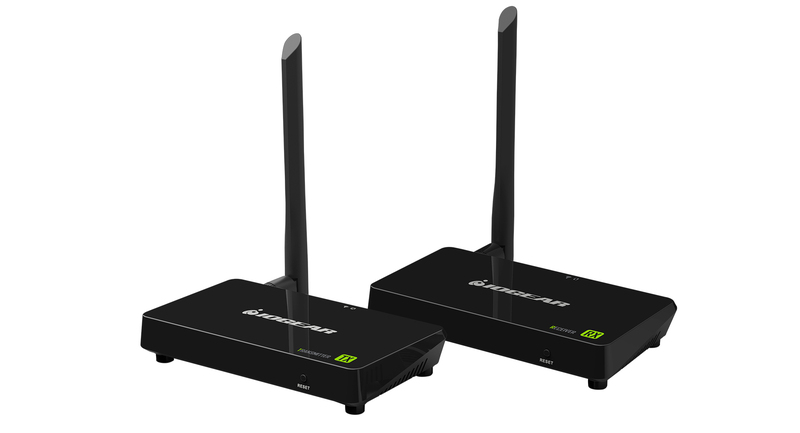 Use your source device remotes to control your Blu-ray® player, DVR/cable box, A/V receiver or media streaming devices such as Apple® TV and control them from wherever you're watching, with the IR pass-through feature. 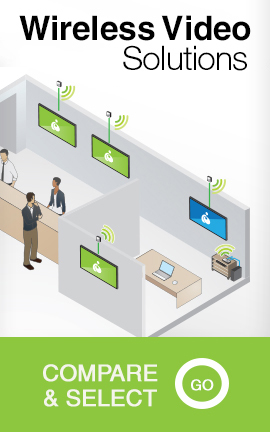 Hide your equipment in one location, while controlling them as if they were in the same room. *Distances may vary depending on environment. Solid and non-porous materials such as steel, concrete, brick and glass (varies depending on coating and thickness) may cause shorter viewing distances or loss of signal. Line of sight is recommended for optimal performance.